With all the talk about how the Mediterranean diet can help save the planet, I thought I'd join in with this little medley. Whether the planet is safer or not, my tummy is certainly happy! Here is what I put together tonight, how always remember you can make it your own! 1. Bring large pot of water to boil for the pasta. Pasta cooks between 8-10 minutes. If you're using rice noodles they tend to need a little longer. 2. Slice the vegetables into half moons, equal parts. Keep separate. 3. Heat large frying pan with a good amount of oil. You'll be using this as your dressing for the pasta. 4. Add onions first. Sizzle for 1 minute than season with sea salt. Add all your dry seasonings at this time. Flavor will cook into the onions and oil for a delicious taste. Be generous! Especially if you're not cooking for healing purpose at the time. 5. Add mushrooms and pinch of sea salt. Sauté for 2-3 minutes. 6. Add broccoli and pinch of sea salt. Sauté for 2-3 minutes covered. 7. Drain pasta when finished cooking and add to sauté medley. Better to cook pasta aldente as they will continue to cook during this step. I like to season with sea salt to enhance flavor here too. It's a crucial step to getting your dish from "okay" to "outrageous". You're taste buds to be the judge. And if you're using good quality sea salt, you have nothing to worry about. 8. Sauté pasta and vegetables together another 2-3 minutes to get flavors to mix, it's even better the longer it sits. 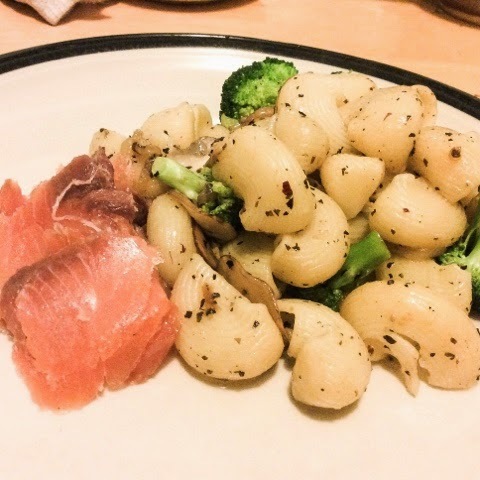 Serve with some smoked salmon and enjoy! Spending some time in Bar Harbor, ME these days. The weather has been rather cool, but then again I've never been this far north. In the city, we have the skyscrapers to keep up warm. It snowed in the morning today, and then the sun was shinning by 6:00pm. So, I decided to whip up this spontaneous soup to get the chill out of my body. In craving something sweet (after just coming from from a short run outside) I put together this recipe. Feel free to modify! 1. Wash and peel the sweet potato. Today we're not going to use the skin, so you can throw it away, compost it, or save for stock. 2. Dice the sweet potato into small chunks and put aside. Do the same for the broccoli and onion. 3. Heat your pan and add about 1-2 tbls of olive oil. Be careful not to heat too much. 4. Add the onion and sauté. When start to clear add a pinch or two of sea salt. 5. Add your seasonings of course to taste (red pepper flakes, black pepper, garlic, etc). Careful my crohn's and colitis friends, you may want to leave this step out especially if you're symptomatic. 6. Add the sweet potato and a few pinch of sea salt. Sauté a few minutes, you want to make sure the sweet potato is starting to get soft before you add the broccoli. 7. Add the broccoli with a pinch of salt and sauté to cost with oil. 8. Add water to completely cover the vegetables. Bring to boil, and cover. 9. Cooks for about 5 minutes. 10. Let soup cool for 5-10 minutes. Add to blender and purée. Serve immediately and enjoy the kick! Every now and then I have an interested in guest blogging. Here is an enthusiastic fan who would like to share some input on beauty secrets and the benefits macrobiotic principles can offer.....check out her stuff! * It shuns sugar: Sugar does much more than make us fat or even diabetic; it makes us look old! When you consume sugar and processed and refined carbohydrates like pasta and bread, glucose levels rise to alarmingly high levels, remaining for too long in the body and causing the pancreas to produce too much insulin. Your body becomes insulin resistant and is unable to turn glucose into energy. Not only do you feel fatigued, but your skin cells become incapable of functioning properly in the midst of such a polluted environment. This causes wrinkles, sagging and spots, making you look as bad as you may already feel. The process goes beyond 'cell confusion'; excess glucose binds to chains of protein, forming advanced glycosylation end products (AGEs), which cause inflammation and increase the rhythm of free radical production. When glucose binds to collagen within the skin, the normally tight, ordered bundles (which keep skin looking tight and smooth) link together and grow stiff, losing their flexibility. This leads to deep creases, wrinkles and puffiness in areas like the nasal-labial fold and around the eyes. The damage goes even deeper; glucose binds to DNA and RNA within skin cells, leading to abnormal functioning and the formation of mutations when cells reproduce. * A macrobiotic diet promotes the intake of whole grains: These contain phosphorous, an essential element for beautiful skin and healthy bones. Especially when soaked, fermented or sprouted, seeds and grains are easy to digest and their Vitamin intake is significantly increased. * It promotes the intake of healthy anti-oxidants: The latter are found in especially in non-starchy vegetables and low-sugar fruits. These improve our immune functioning, avoid premature ageing, and work to stabilize vitamins, working alongside them to increase the nutritional value of the foods we consume. There are over 20,000 different phytochemicals identified in fresh fruit and vegetables; many of them protect against harmful UV radiation and free radicals in the environment, two major causes of skin ageing. * A macrobiotic diet shuns saturated fats, focusing on a healthy blend of Omega-6 (found in nuts and seeds and avocados) and Omega-3 (found in wild fish, linseed and linseed oil, and walnuts) fats. * It promotes the intake of good protein: While many people who follow a macrobiotic diet also avoid meat, others do not; at any rate, all forms of the diet embrace quality, organic protein obtained from ethical sources. This greatly benefits the skin because skin uses almost 50,000 different proteins to carry out its many functions (which include building muscles, enzymes, hormones, antibodies, nerves and collagen). If you are a vegetarian, it is definitely possible to find good protein sources. Whey Protein has all the protein power of dairy without the cholesterol or high fat content. Other, non-dairy sources of protein include eggs, organic tofu and fish, all of which are freely used in a good macrobiotic diet. Grains and pulses are also a major part of macrobiotics, though we should take a note from beauty and nutrition expert, Leslie Kenton, who, in her book The Skin Revolution, reminds us that grains and legumes have opposite protein profiles; legumes are high in lysine and low in methionine, while for grains, the opposite rings true. It therefore is a good idea to combine grains and legumes in the same meal, to ensure the consumption of the most complete protein profile possible. * It promotes a stress-free lifestyle: Cortisol, the so-called 'stress hormone', ages our muscles, bones and skins in untold ways. By embracing an integrated lifestyle that takes our physical and mental well-being into account, a macrobiotic diet approaches health and beauty the best way there is: from inside-out. Mother of two, who majored in health and nutrition before going to work in the industry. Motherhood made her make a career decision to switch from working in a company to staying home and growing a writing career allowing her to spend quality time with her daughters. The secret to avoid "unwanted" eating! If you're anything like me, I'm hungry 70-80% of the day. I'm a constantly active person. Whether it's dancing at rehearsal, taking a yoga class, or sitting at an office desk doing brain work, we use a lot of energy. All that energy needs to be replaced, and that's why we eat, to fuel our bodies! Okay, fine "duh!" you all know this already. But the big question comes when we ARE eating 3 meals a day and yet we are STILL not satisfied. It's a common worry of people who are new to changing their diets (including myself). "I just don't feel like the food is satisfying my hunger). 1. Am I eating the right foods to support my daily activity? The more active you are, the more minerals and protein (yes protein), you will need. But don't think that having 1 dish is going to satisfy a craving, you need them ALL. A grain, a protein, a few vegetables, AND leafy greens! Bottom line, eat a complete meal 3x a day. 2. 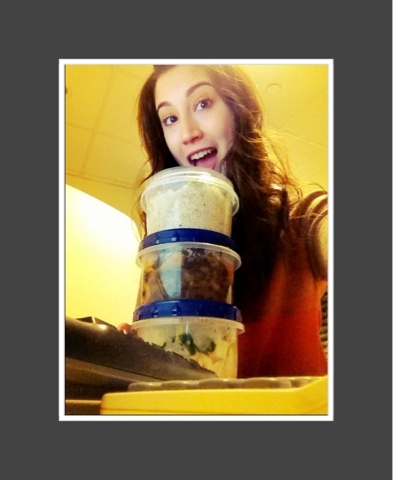 Am I absorbing my food/chewing enough? Can we take a minute here people? No one wants to see you shoving food down your mouths. Chew Chew Chew! Make it a routine. Take a quick second before you eat and be thankful for the food that is sitting before you. 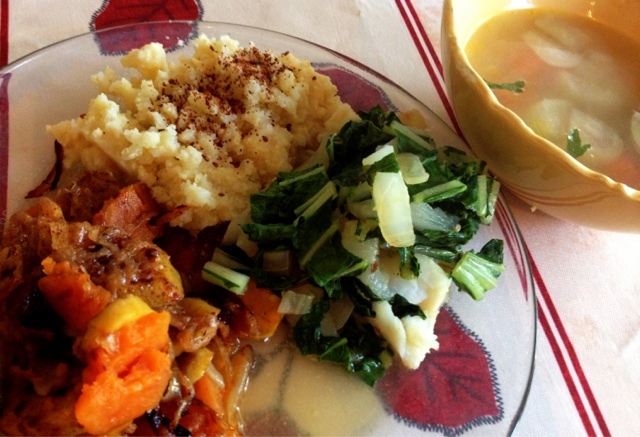 You might be overeating because you're body is still thinking that it hasn't got any nutrients yet (even though your vegetable stir-fried rice bowl is empty, along with your cauliflower salad, and steamed yams). 3. Maybe I'm eating one thing, but craving something different. Pay attention to your cravings! If you're suddenly desperately wanting that cookie sitting next to your desk, maybe it's because you didn't have enough sweetness in your meal. Desserts are important! Make them fresh and healthy. But let's be honest, if its just that 1 cookie that's going to settle your craving, DO IT GUILT FREE! 4. Beware the comfort foods! Or, maybe you really don't want that cookie, but you're so stressed about the overdue assignment that you turn to the cookie to make you feel better? Yes, we've all been there. I've even been where it's not just 1, or 2, or 3 cookies.... Next thing I'm asking myself is "why did I do that, because I feel like crap!" 5. Don't let yourself get TOO hungry! Be aware of how much time passes between meals. Did you skip breakfast this morning and run out the door thinking that you were going to eat your breakfast on the train and then realized you forget a fork/spoon? Oh wait, that must have been me. Immediately when we are starving, we start picking on snacks or whatever is accessible to us. I'm not going to say I was almost tempted to stop in the bagel store which I was walking pass. Why? Because it's easier! Right? Wrong! I was just too hungry to think about the consequences. So, if you need help avoiding those pressures, make a deal with yourself. Go back to your desk, eat every food that your brought with you to work, and then if you're still hungry, you can go to the bagel store. A simple little dish that I made on Christmas Day. Chop all your vegetables into 1-inch pieces. You want them all to cook evenly. The Brussels sprouts should be steamed and cut in half (so try to make it match them). Place all vegetables into a big bowl. Coat with a good amount of olive oil. Then add all your seasoning. (You can get creative here). 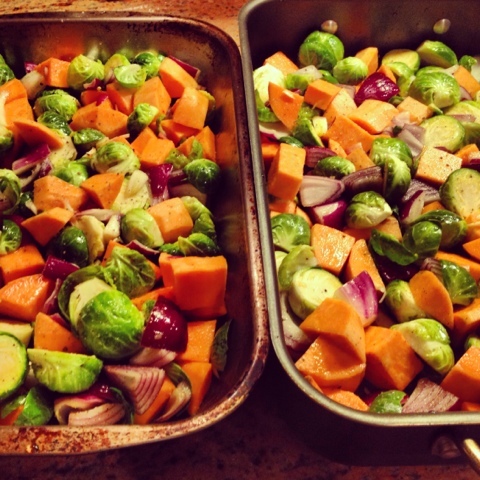 Spread the vegetables out in a pan that can hold liquid. Coal the vegetables with a bit of white wine so there is liquid to cook in. You do not want them over over lap. Cover with lid or aluminum foil and roast for about 30minutes. Check to see if they are tender, put back in oven uncovered for another 5-10mins. Is it just me...or does anyone else feel that cold front coming in? 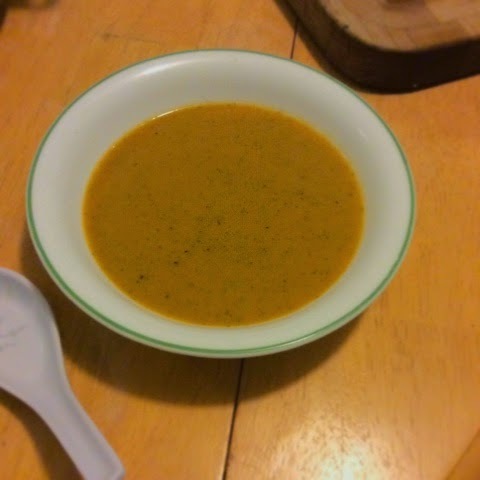 I put this little soup dish together and it did just the time trick! I advise you to use cooked or partially cooked adzuki beans for this dish. If you don't have them, you can make them ahead of time. They cook for 60 minutes with a small piece of kombu. 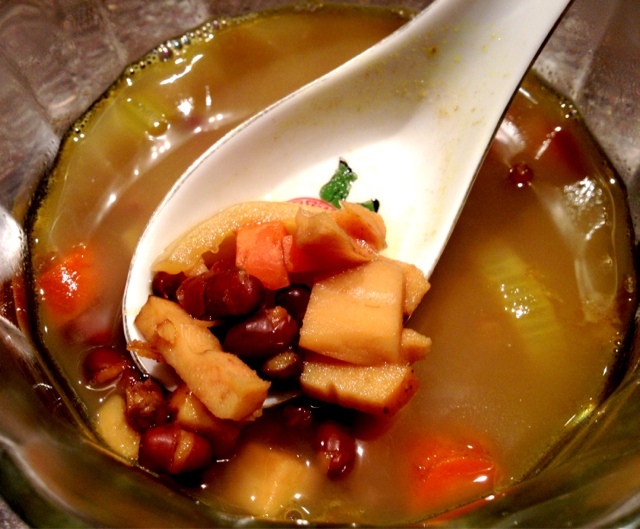 Dice up your lotus root, carrot, onion, and celery all to the sizes similar to the aduzki bean. Set aside. Add a little sesame oil to the bottom of your soup pot. Add vegetable one at a time, sauteing into the oil and cover each time in this order: onion, lotus root and carrot. Sesame with a little turmeric each time you add the vegetable. If the beans are not completely cooked don't add salt yet. If they are, you can salt as you go. Adzuki bean are added last. Add enough water to cover all the vegetables and bring to a boil. Cooking time depends on your adzuki beans. If they are already completely cook, the soup should cook for about 10-15 minutes. I like to add my celery when there's only about 5 minutes left so it stays a little crunchy. That would be a good time to add your salt for seasoning. What do I made that easy to travel with? Here it is! I call it Sushi-a-go-go! 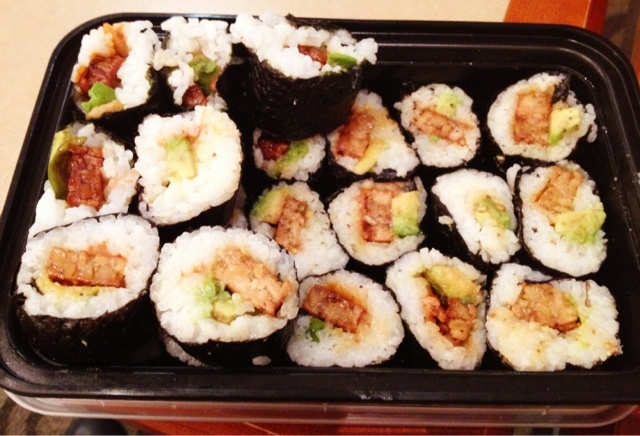 Homemade tempeh, avocado, ume rolls. Sushi is always so great on the go for many reasons. - It's a complete meal. You can get your grain, veggies, and some high minerals packed in one. - You don't need utensils to each it and its not messy. - The nori almost acts as a preservative. Don't cut the sushi until you're almost ready to eat it. It will last longer. And it doesn't need to be refrigerated. Packed in a leftover "to go" box. Yes, it's plastic but as look as you don't put anything too hot in them it's fine. Also makes it easier to dispose when it's empty. For someone as "on the go" as me, I couldn't get through without my food. I'm off...up up and away! A Little Macrobiotic Christmas Humor? What Do You Get When You Show Up To A Macrobiotic Christmas Potluck and there is a grab bag? 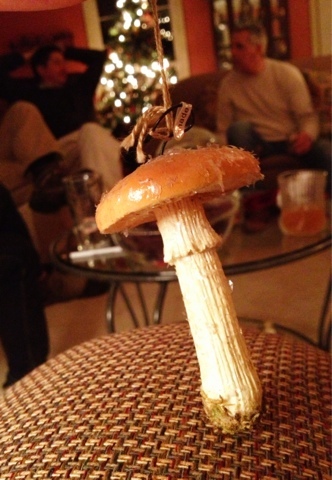 A Shittake Mushroom Christmas Ornament!!!! What do I bring with me to lunch? What do I give my child to take with them to school? How do I make time for lunch with my busy schedule? Here's my answer: WRAP IT UP! Remember the tempeh I made earlier this week? Well here is the leftovers for you. 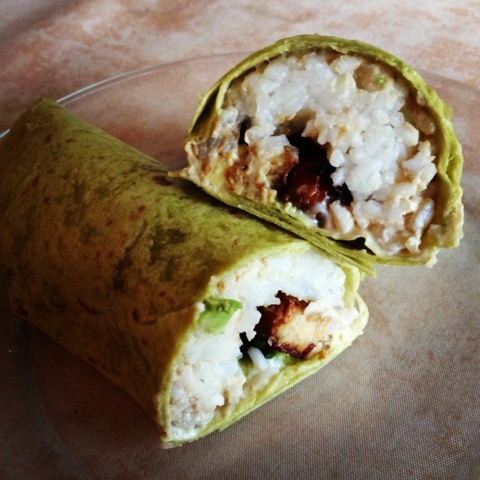 I pulled together some white rice, added some avocado, and dressed it with a little mustard or veganese (either or both, whatever you like) and wrapped it all in a spinach tortilla. So yummy!!! This dish will last a few hours out of the frig, so it's perfect to throw in a lunch bag and bring to the office or school. So, let's call this my WRAP IT UP segment...hoping to post more inspiring wraps each month. Stay tuned! A Winter Time Lunch...For those of Us With A "Sweet Tooth"
This was a great balanced meal! The ginger made my nose run....Great for the cold weather coming in. In 2004, after battling two incurable diseases, Marisa began to look for alternative treatments. She was recommended the book Controlling Crohn’s Disease The Natural Way by Virginia Harper a story of a woman’s healing journey through the teachings of macrobiotics. Becoming inspired she said “I can do this too!” It’s been a long journey but today Marisa is living a happy, symptom free life! Through her own experiences with healing she has been inspired to help others embrace their health and our abilities to heal. Marisa has held two local titles in the Miss America Organization: Miss Spirit of New York 2006 and Miss Jubilee 2007 and has placed in the top ten two years in the Miss New York State Pageant. Through these organizations she was able to continue to advocate her platform, Understanding Crohn’s Disease Through Lifestyle and Diet. Now she's off to help you. Check out her upcoming cooking classes, pot-lucks, and lectures. Do you have a favorite recipe (maybe an Italian Dish) that you could never live without? Let me know what it is and maybe I can cook it the "macro-ly balanced" way. Christina's book's and I are up for the challenge.